The sanctuary cities are a disgrace to the country! The full force of the DOJ should come down on them and cut off all federal funds to cities and states that want their own definition of ”following the law.” State officials who encourage these law breaking people to come to the state should be held accountable for violating their oath of office. Another California city has joined the fight against the state’s sanctuary city laws, which limit local authorities’ ability to investigate illegal immigrants’ status and communicate with federal immigration officials. Carlsbad’s City Council voted 4-1 Monday to support the Trump administration’s lawsuit against the state’s pro-illegal immigrant sanctuary city policies, The San Diego Union-Tribune reported. Carlsbad is located near San Diego, where the all-Republican Board of Supervisors also voted in April to support the federal government’s legal action. Multiple cities and counties in the state have opposed Senate Bill 54, which was signed into law by Gov. Jerry Brown (D) in October 2017. On April Huntington Beach’s City Council voted 6-1 to sue California over SB 54 (“The California Values Act”), which prevents local authorities from honoring Immigration and Customs Enforcement (ICE) detainers. Last Wednesday the mayor of a California city opposing the state’s heavily debated sanctuary law blasted the state’s government for its stance on illegal immigration. 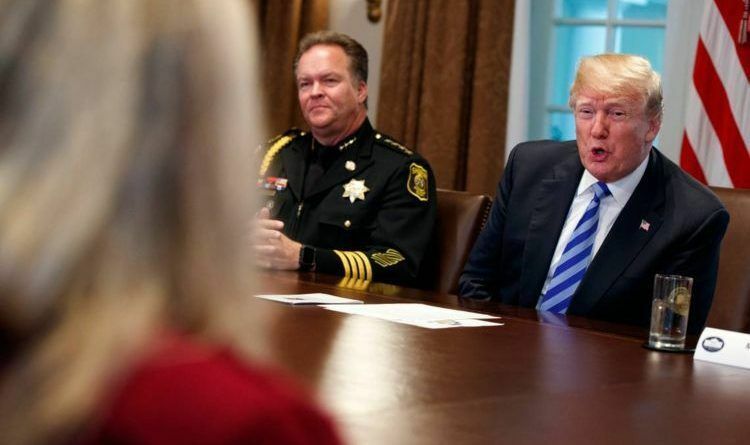 A number of California lawmakers opposed to the policy met with President Trump to discuss the law and illegal immigration. It’s good to see that Californians defy these Sanctuary state laws!